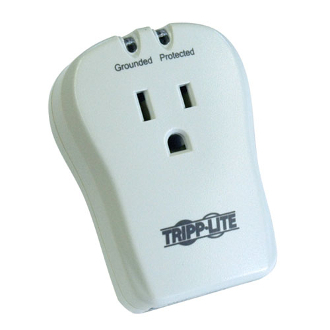 Single AC Outlet Point-of-Use Surge Protection Device with Modem Protection. 1 AC Outlet. $10,000 Warranty with Ultimate Lifetime Insurance. LED diagnostics for protection status. 1 Pair of tel/modem connectors. 540 Joule rating. Listed to UL 1449.